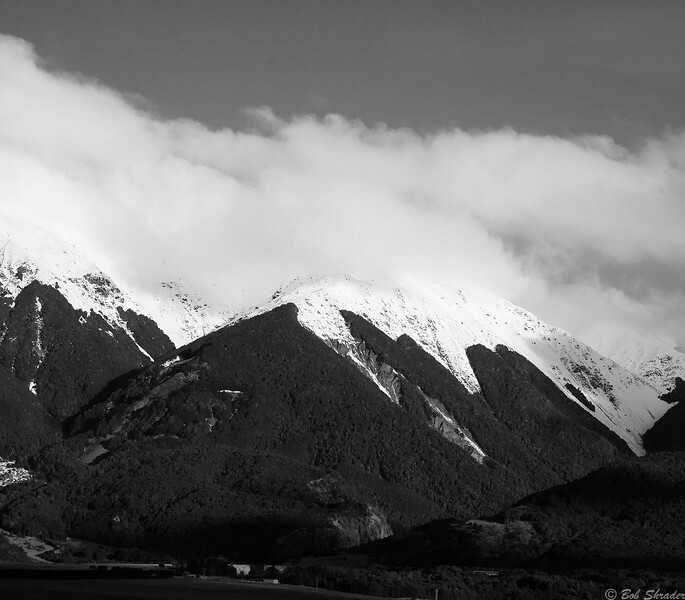 Black and white film-look rendering of spectacular scenery of the Southern Alps and Cantebury Plains on the TranzAlpine Kiwi Rail trip across New Zealand's South Island. 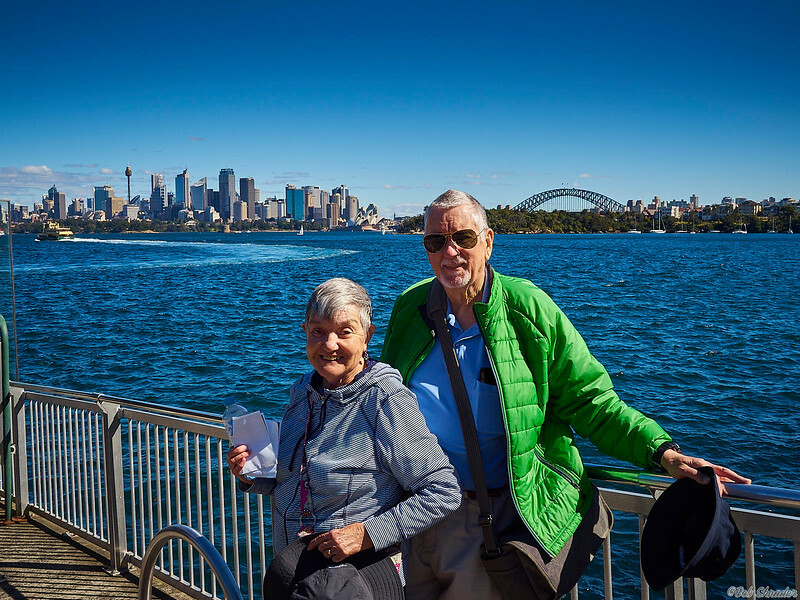 Sue and Bob at the Zoo wharf, across the bay from the heart of Sydney, Australia. In the background are the Sydney Tower, the Sydney Opera House and the Sydney Bridge. 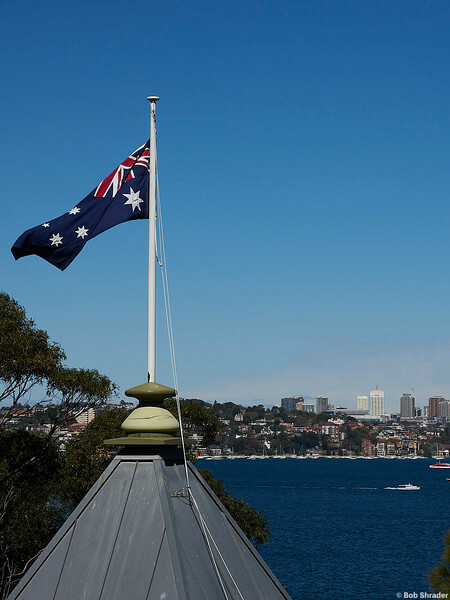 Australian flag flying over the Taronga Zoo in Sydney, Australia. 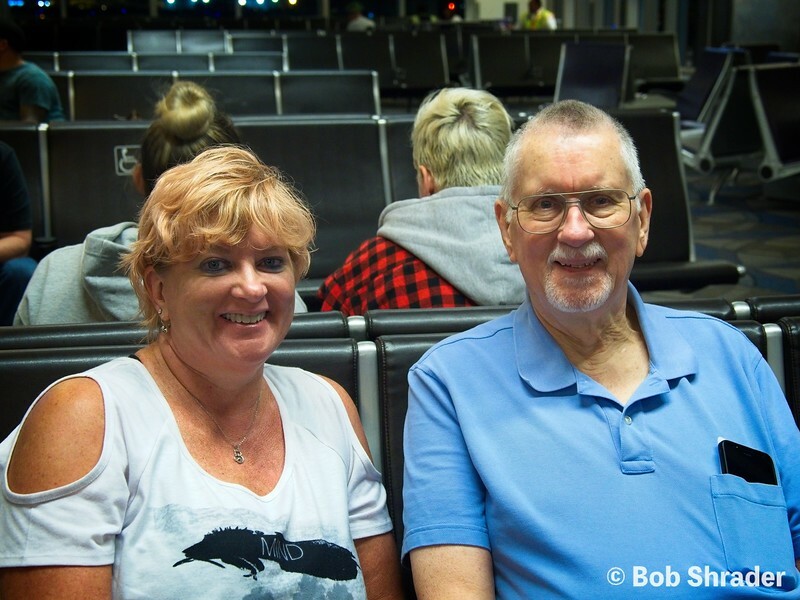 Elizabeth and Bob at Bergstrom International Airport, Austin, waiting for the plane to Los Angeles - Sydney - Auckland. Raw development and processing in ON1 Photo RAW 2017. 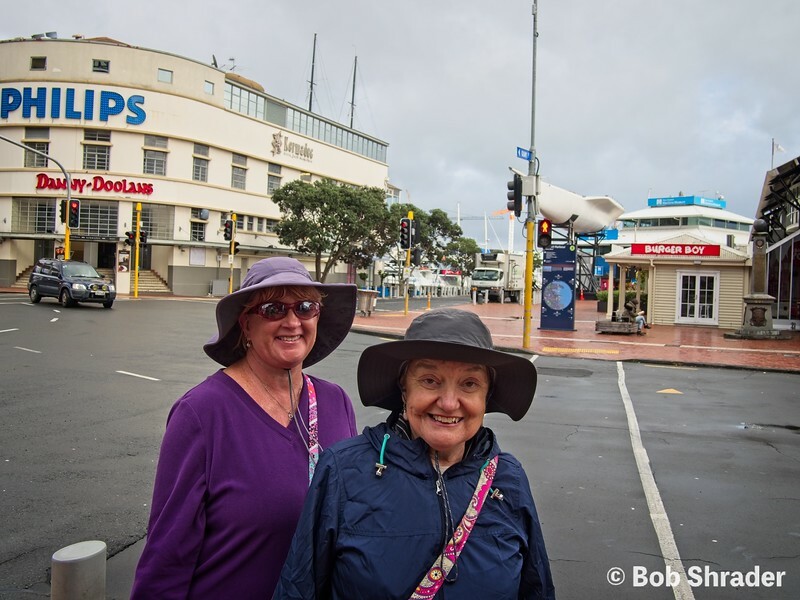 Elizabeth and Sue walking in the harbor area of Auckland, New Zealand. Raw development and processing in ON1 Photo RAW 2017. 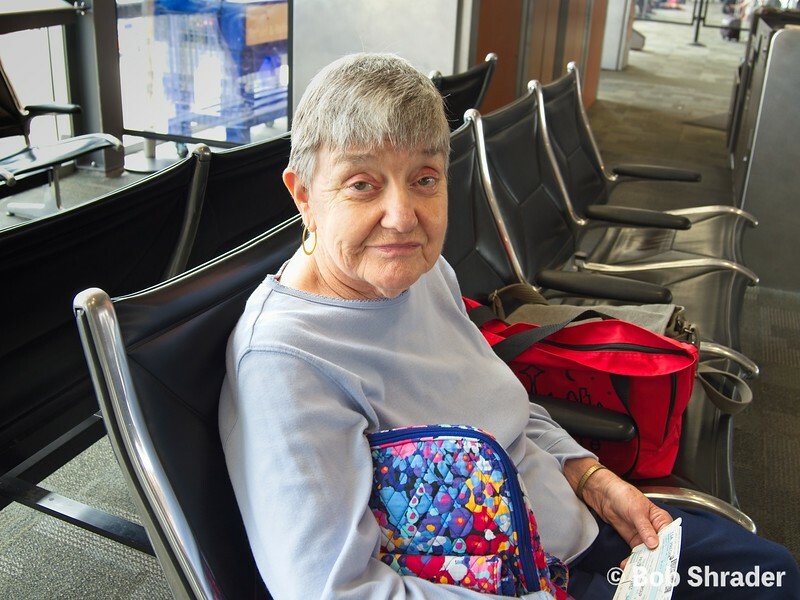 Sue at Bergstrom Internatonal Airport in Austin, waiting for the flight to Los Angeles - Sydney - Auckland. Raw development and processing in ON1 Photo RAW 2017. 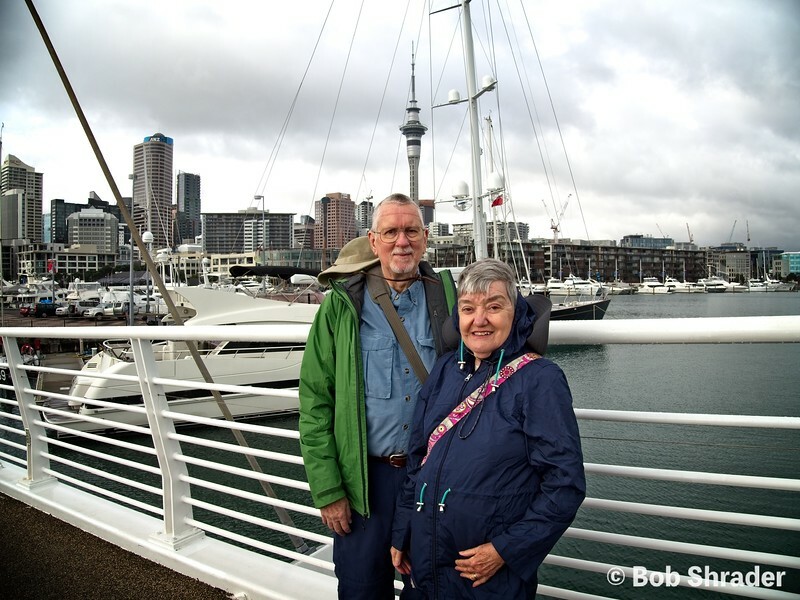 Elizabeth and Bob along the harbor in Auckland, New Zealand. In the background is the 328-meter Sky Tower, an icon of Auckland's skyline for 20 years. Raw development and processing in ON1 Photo RAW 2017. 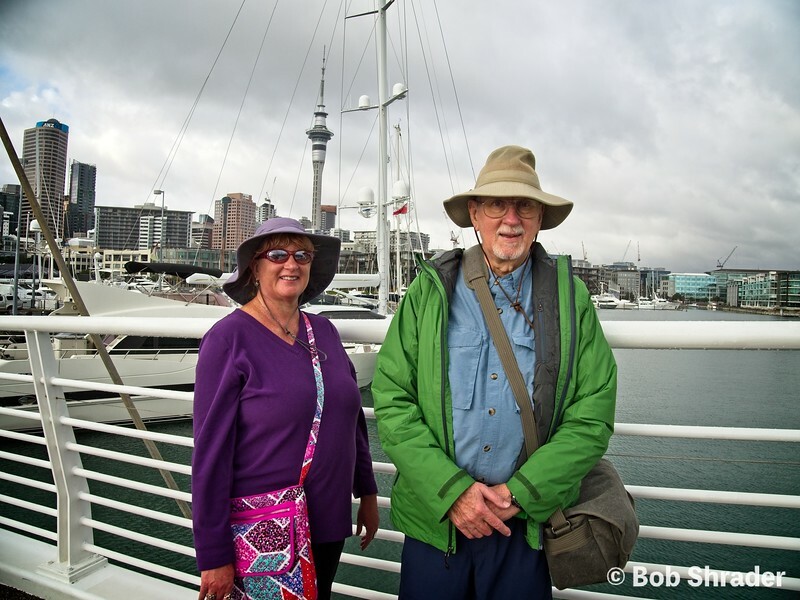 Bob and Sue at the Auckland, New Zealand hoarbor. In the background is the 328-meter Sky Tower, an icon of Auckland's skyline for 20 years. Raw development and processing in ON1 Photo RAW 2017. 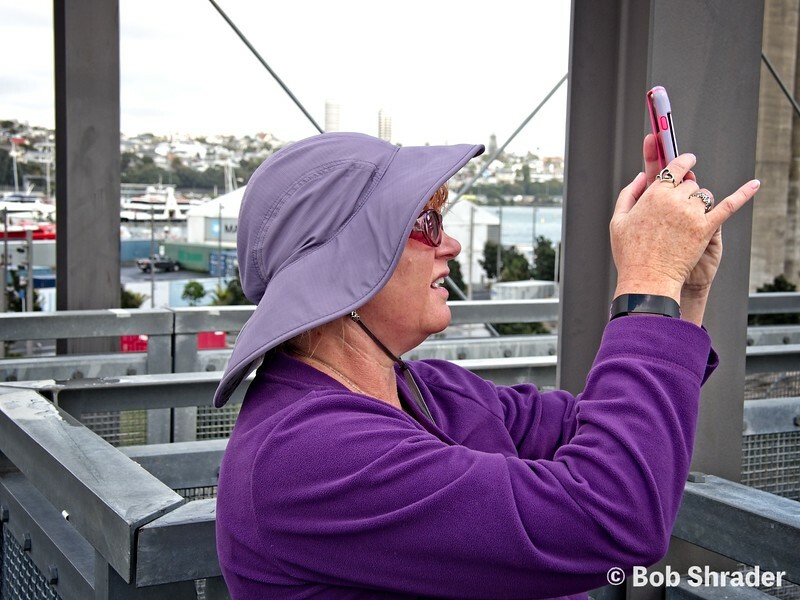 From atop a two-story metal walkway on the harbor in Auckland, New Zealand, Elizabeth takes a shot with her iPhone. Raw development and processing in ON1 Photo RAW 2017. 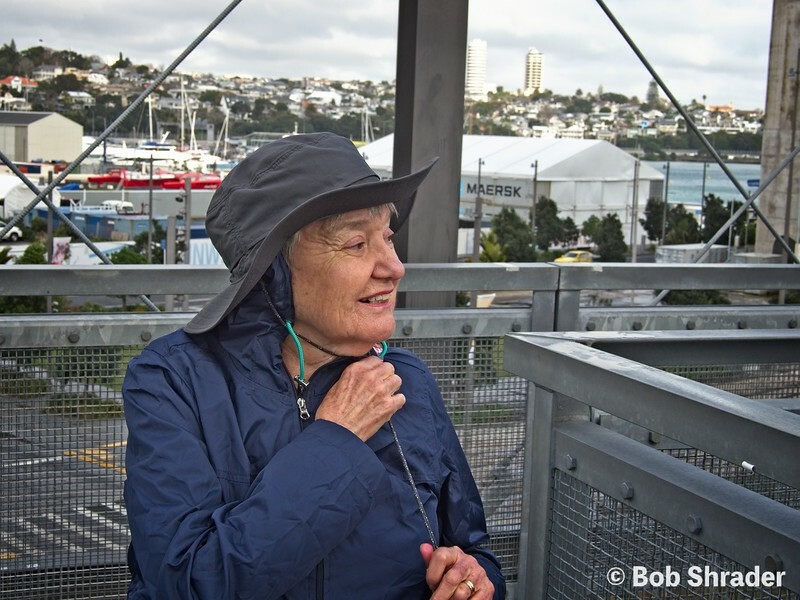 Sue braves the wind atop a two-story metal ramp in the harbor area of Auckland, New Zealand. Raw development and processing in ON1 Photo RAW 2017. 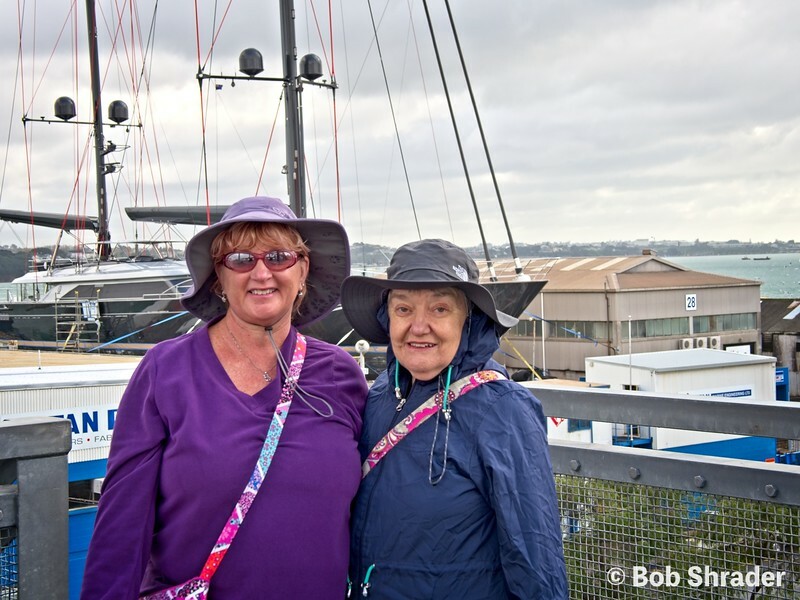 Elizabeth and Sue in the harbor area of Auckland, New Zealand. Raw development and processing in ON1 Photo RAW 2017. 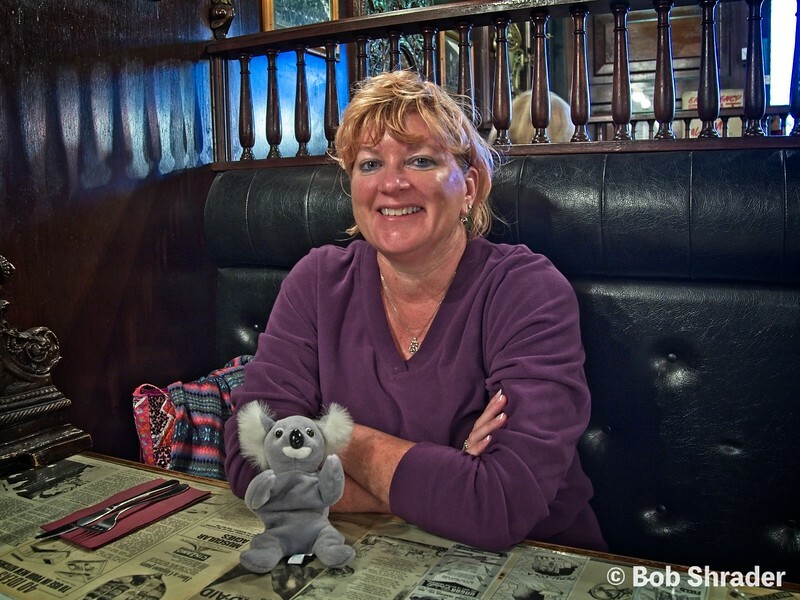 Elizabeth at a restaurant in Auckland, New Zealand. Raw development and processing in ON1 Photo RAW 2017. 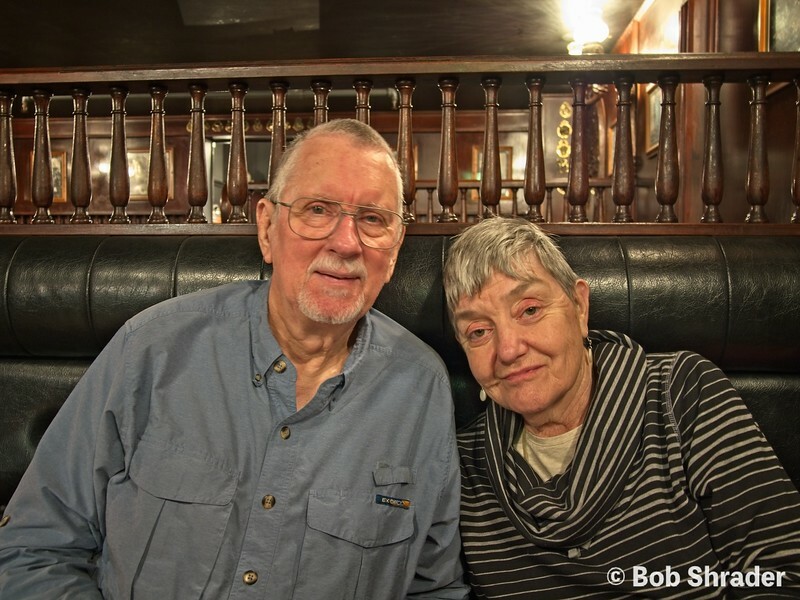 Bob and Sue at a restaurant in Auckland, New Zealand. Raw development and processing in ON1 Photo RAW 2017. 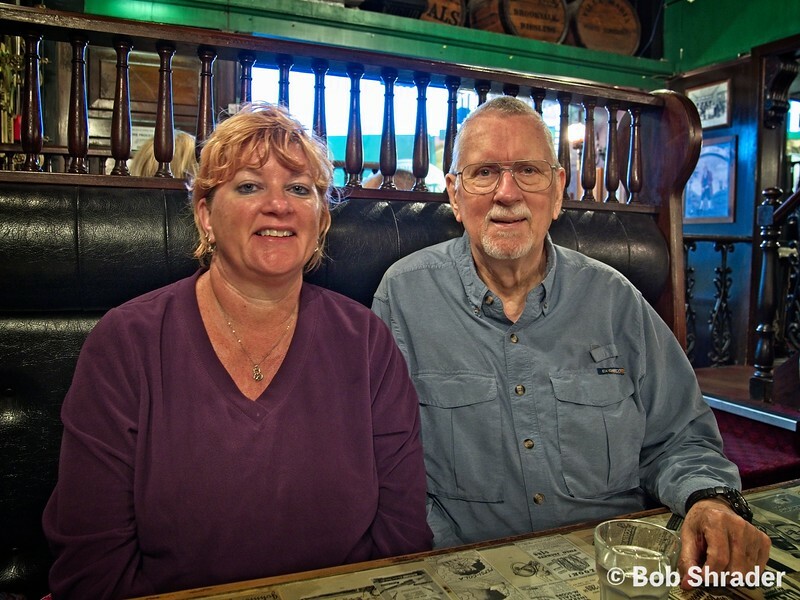 Elizabeth and Bob at a restaurant in Auckland, New Zealand. Raw development and processing in ON1 Photo RAW 2017. 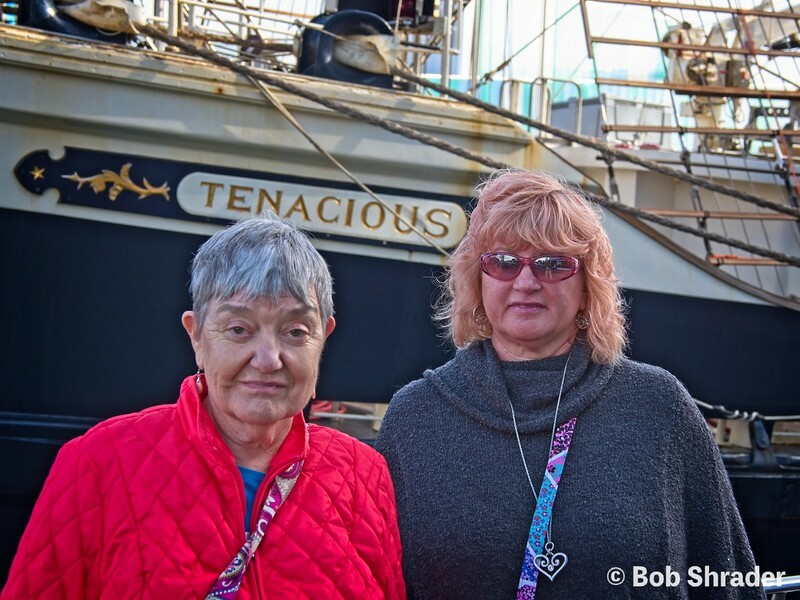 Sue and Elizabeth in front of the competitive sailing vessel "Tenacious" at the Auckland, New Zealand harbor. Raw development and processing in ON1 Photo RAW 2017. 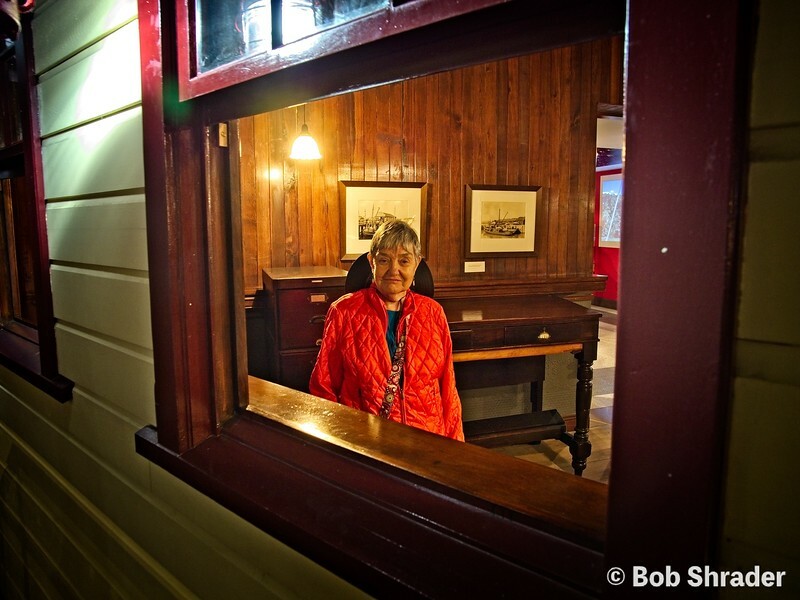 Sue looks through a window in the New Zealand Maritime Museum located on Hobson Wharf in Auckland. Raw development and processing in ON1 Photo RAW 2017. 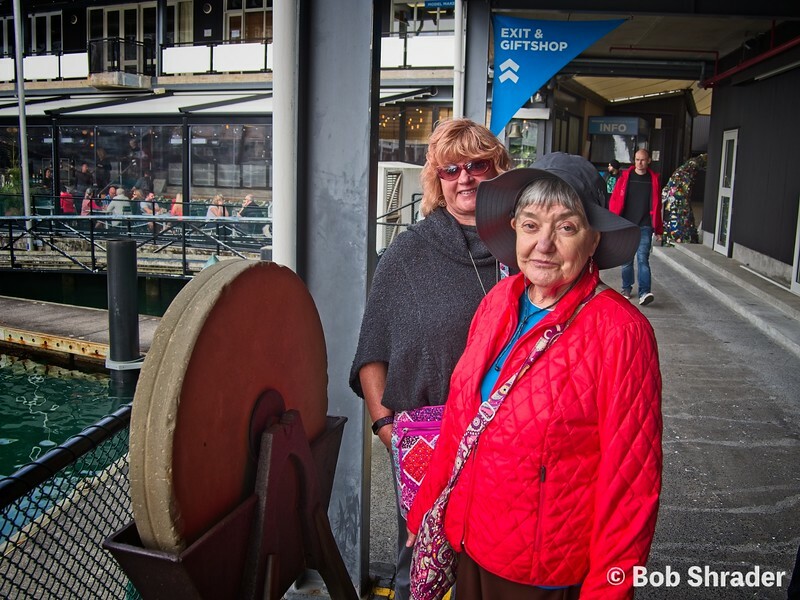 Elizabeth and Sue stand next to one of the exterior exhibits at the New Zealand Maritime Museum on Hobson Wharf in Auckland. This old whetstone wheel used for sharpening knives and other cutting instruments was similar to the sharpening wheel on the Smith farm when Sue was a child. Raw development and processing in ON1 Photo RAW 2017. Sue and Elizabeth at a Mexican restaurant a block from our hotel in downtown Auckland, New Zealand. Our waitress was French. The manager, also French, told us the restaurant had been operating for 26 years. Raw development and processing in ON1 Photo RAW 2017. 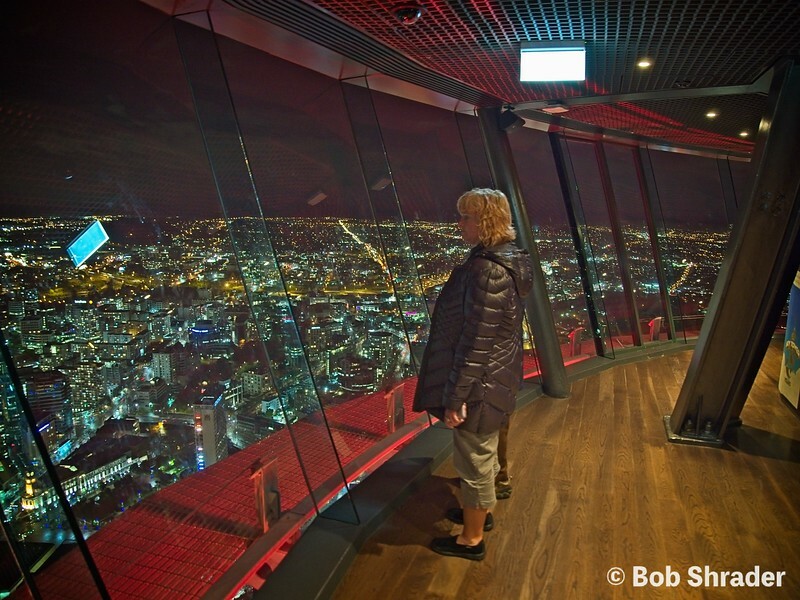 Elizabeth enjoys the nighttime view from Auckland's Sky Tower. Raw development and processing in ON1 Photo RAW 2017. 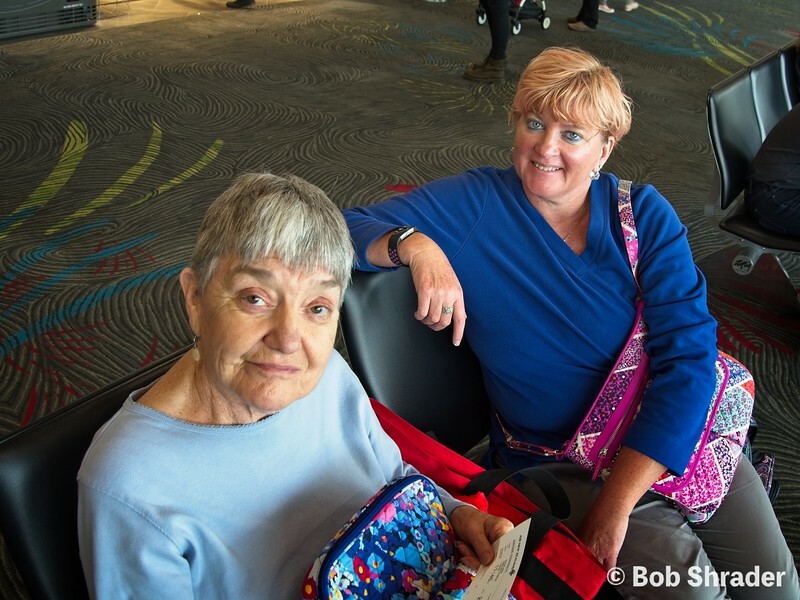 Sue and Elizabeth at the Auckland, New Zealand airport waiting for the flight to Christchurch. Raw development and processing in ON1 Photo RAW 2017. 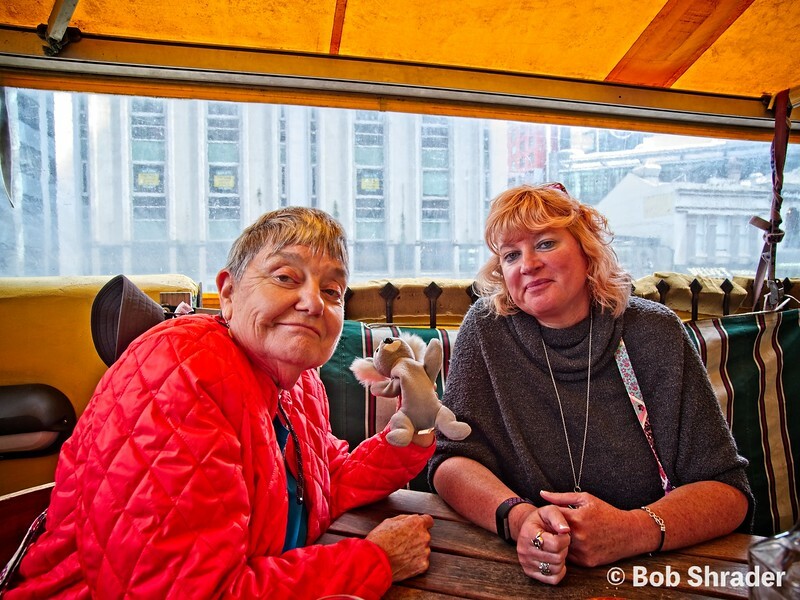 Sue (with Popeye) and Elizabeth at the Christchurch, New Zealand train station. Raw development and processing in ON1 Photo RAW 2017. 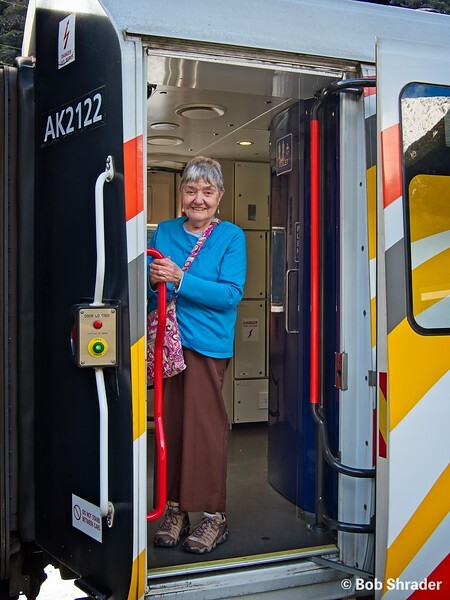 Elizabeth aboard the TranzAlpine Kiwi Rail train, running between Christchurch and Greymouth, New Zealand. Raw development and processing in ON1 Photo RAW 2017. 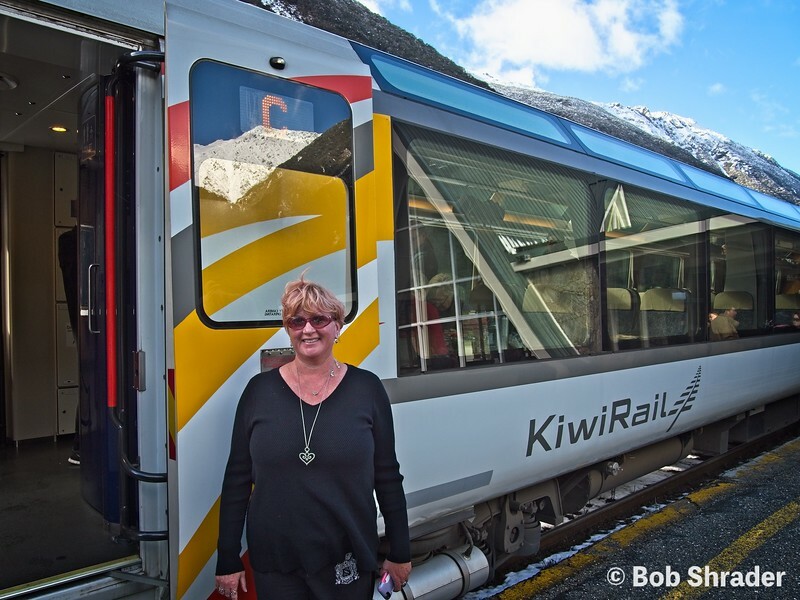 Sue outside the TranzAlpine at a brief stop in Arthur's Pass, New Zealand. Raw development and processing in ON1 Photo RAW 2017. 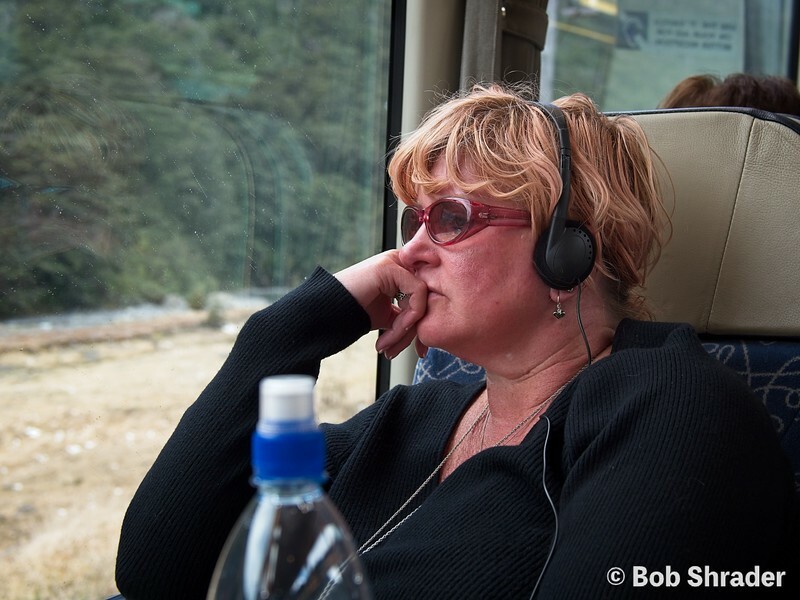 Elizabeth outside the TranzAlpine at a brief stop in Arthur's Pass, New Zealand. Raw development and processing in ON1 Photo RAW 2017. 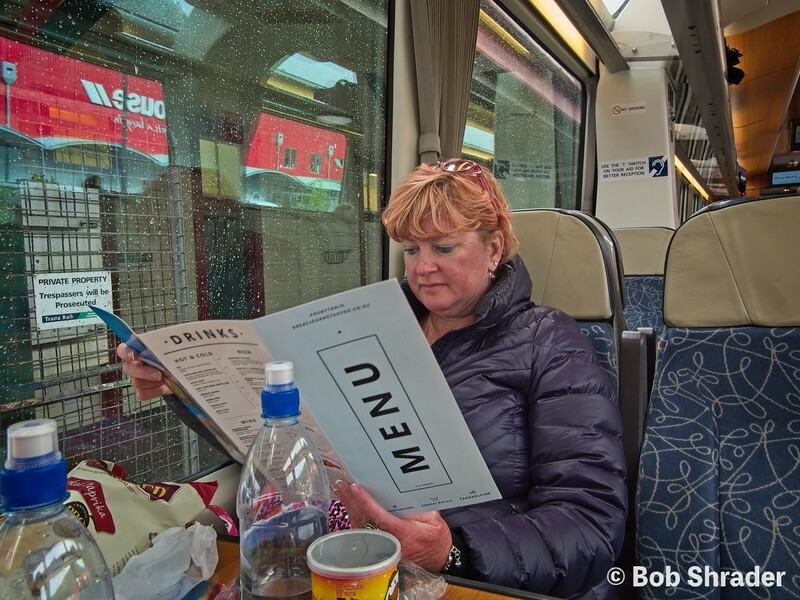 While passing through Kokira station, Elizabeth checks the menu on the TranzAlpine train, which travels through the Southern Alps on its journey between Christchurch and Greymouth, New Zealand. Raw development and processing in ON1 Photo RAW 2017. 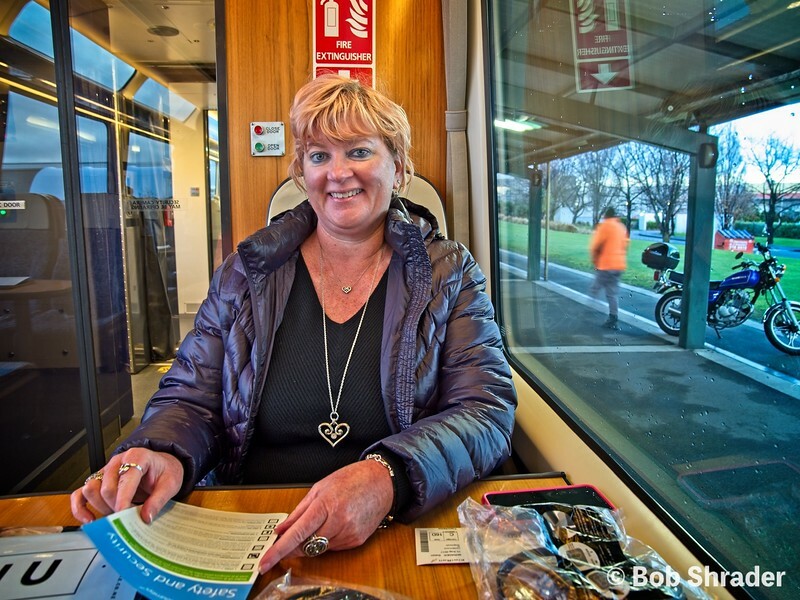 Elizabeth aboard the TranzAlpine train on the return journey from Greymouth to Christchurch, New Zealand. Raw development and processing in ON1 Photo RAW 2017. 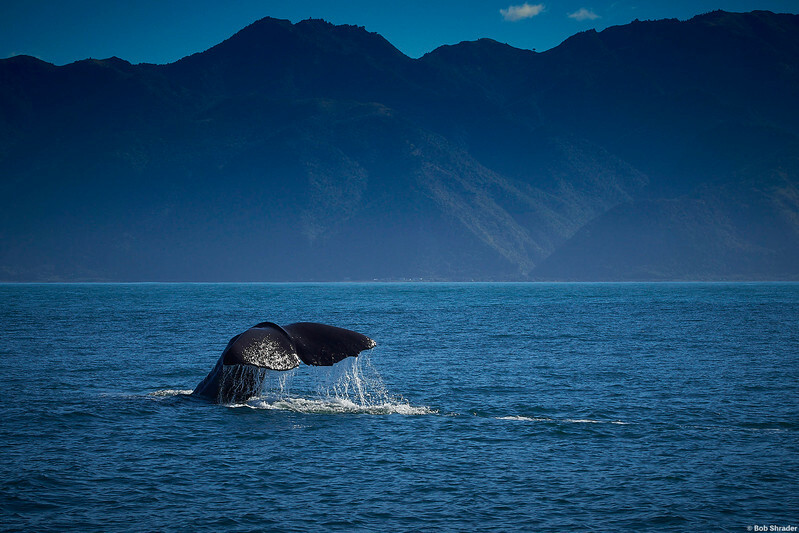 A sperm whale dives off the coast of Kaikoura, Cantebury, New Zealand. 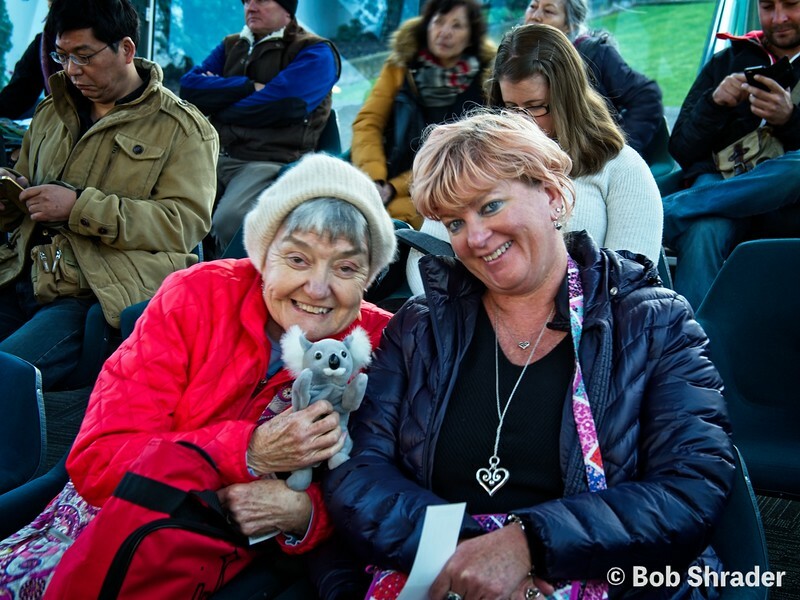 Part of the fun on the Whale Watch Kaikoura tour. The earthquake six years ago raised the coastline here by more than 1 meter and destroyed all of the company's boats and its marina. 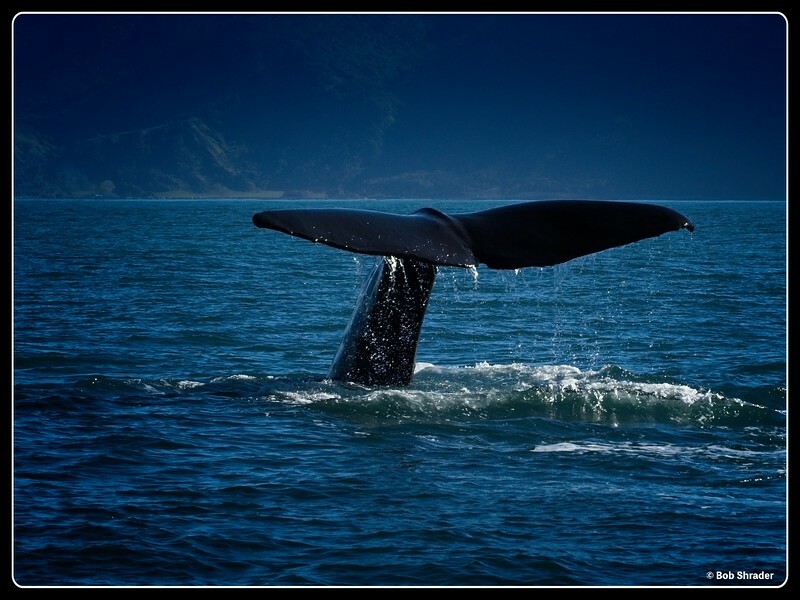 While a new marina is being constructeed, Whale Watch Kaikoura is operating with one vessel launched from a modified trailer. 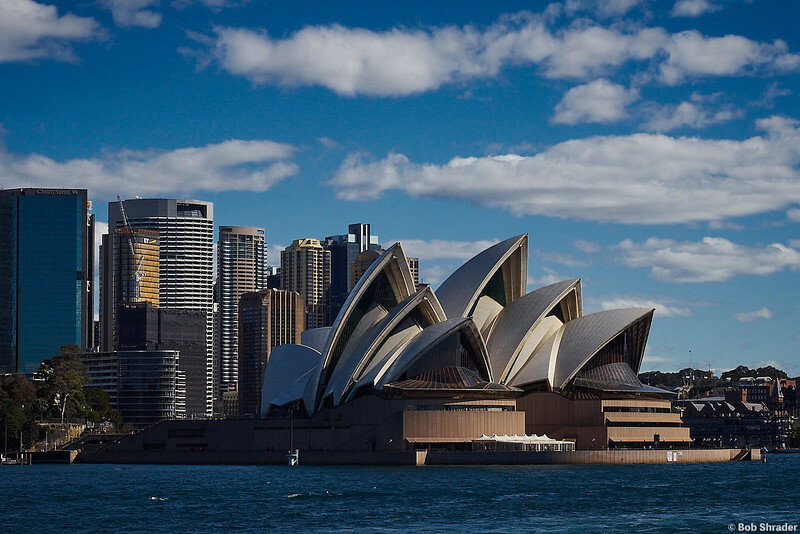 A view of the Sydney Opera House and city skyline from the Sydney Harbour. 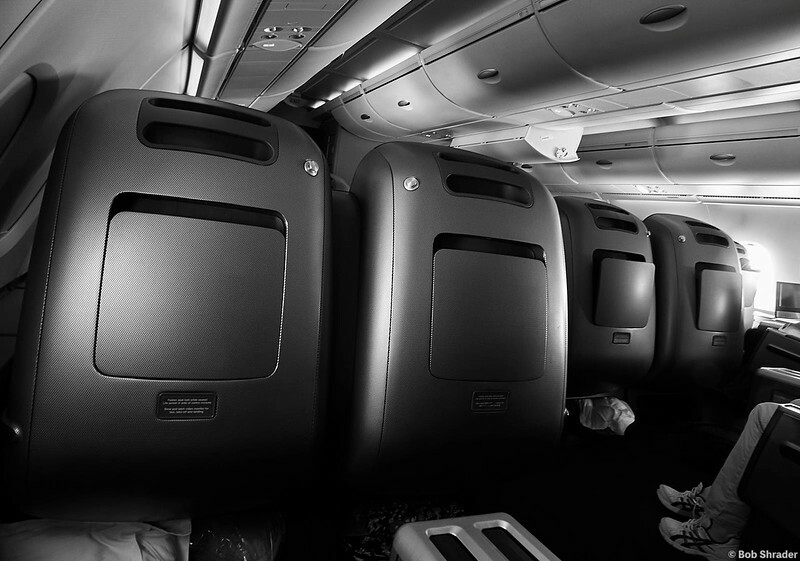 Business-class seating on A Qantas Airbus A330 flight from Sydney to Dallas. In addition to providing plenty of room for long legs and big feet, these seats made into fully-reclined beds. For a 15-hour flight like this one, worth the higher air fare. Black and white film-look (Agfa APX 25) rendering and processing in Capture One Pro 10. 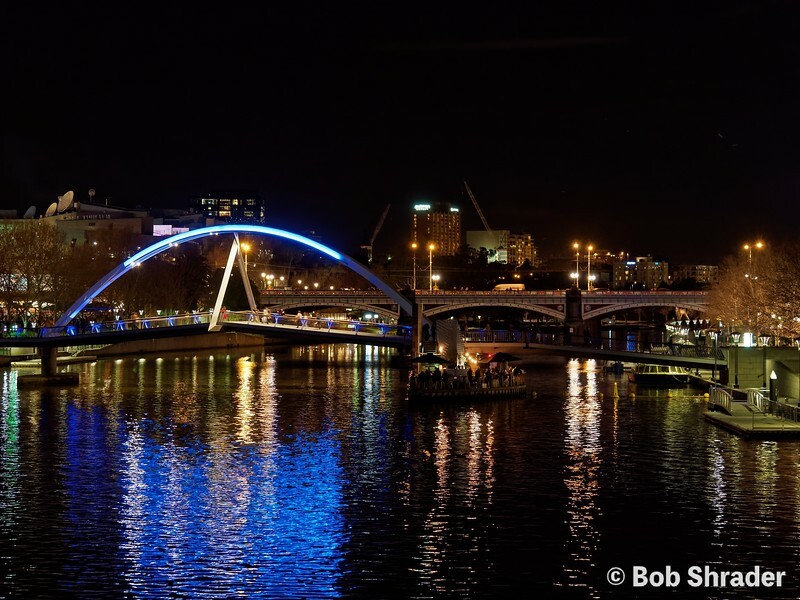 A nighttimer view of the Yarra River in downtown Melbourne, Victoria, Australia. Raw development in DxO Optics Pro 11. Lens correction in DxO ViewPoint 3. Post processing in ON1 Photo RAW 2017. Architectural wonder seen across the Yarra River in downtown Melbourne, Victoria, Australia. 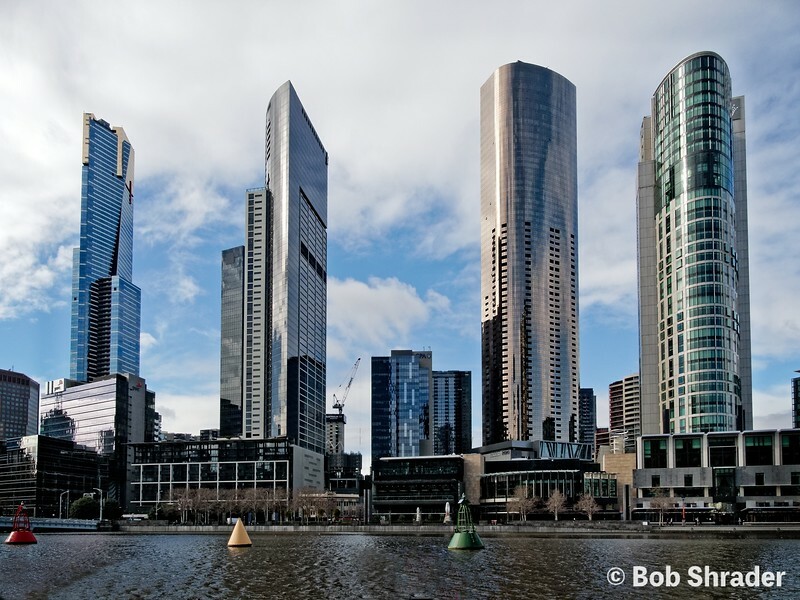 On the left is the Eureka Tower, tallest building in Melbourne at 297 meters and 91 floors. Second from left is Freshwater Place North. Second from the right is Prima Pearl, a residential structure. Onthe right is the Crown Casino and Tower. Raw development in DxO Optics Pro 11 with lens correction in DxO ViewPoint. Post processing in ON1 Photo RAW 2017. 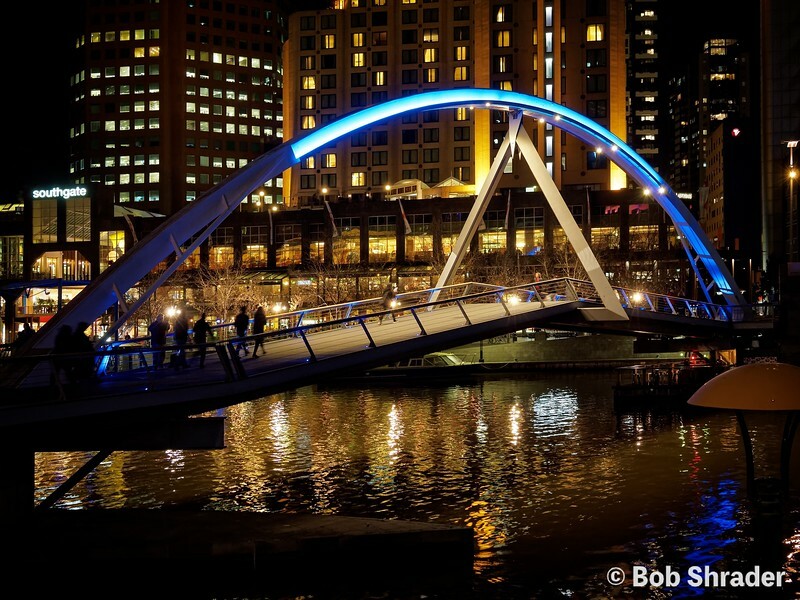 The Southgate Pedestrain Bridge over the Yarra River in downtown Melbourne, Victoria, Australia. Raw defelopment in DxO Optics Pro 11 with lens correction in DxO ViewPoint 3. Post processing in ON1 Photo RAW 2017. 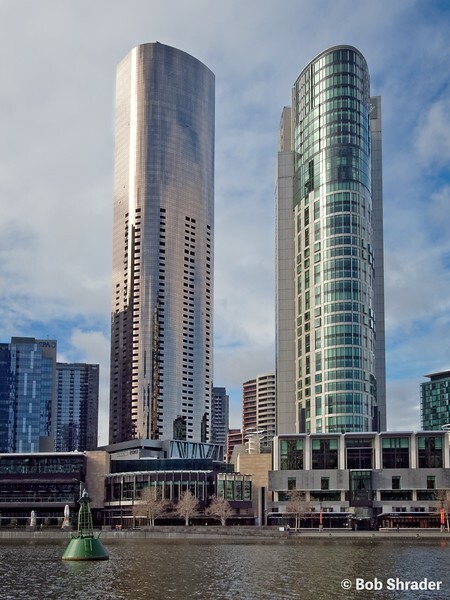 The Prima Pearl Apartments and the Crown Casino and Tower, two of the numerous skyscrapers along the Yarra River in Melbourne, Victoria, Australia. Raw development in DxO Optics Pro 11 with lens correction in DxO ViewPoint 3. 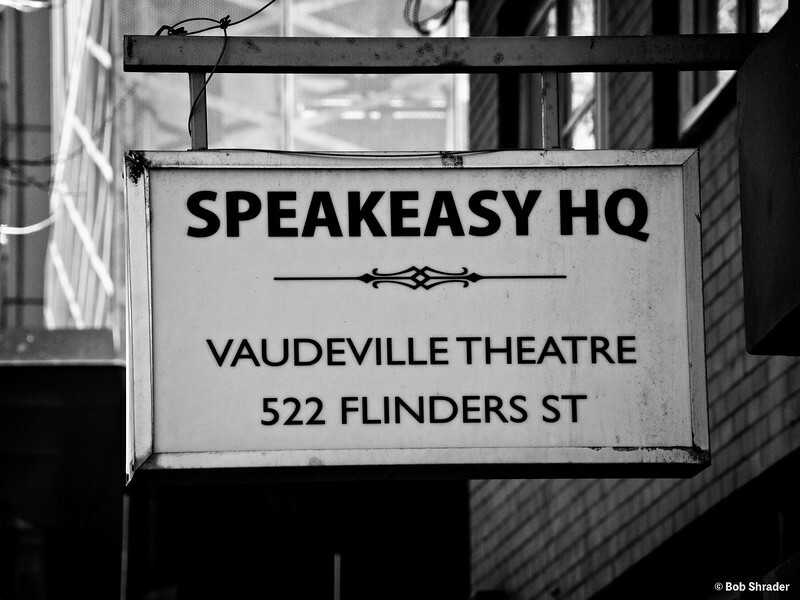 Post processing in ON1 Photo RAW 2017.
theatre sign on one of the main streets in the heart of Melbourne, Victoria, Australia. Raw development and processing in ON1 Photo RAW 2917 (B&W film: 400 Fuji Neopan). 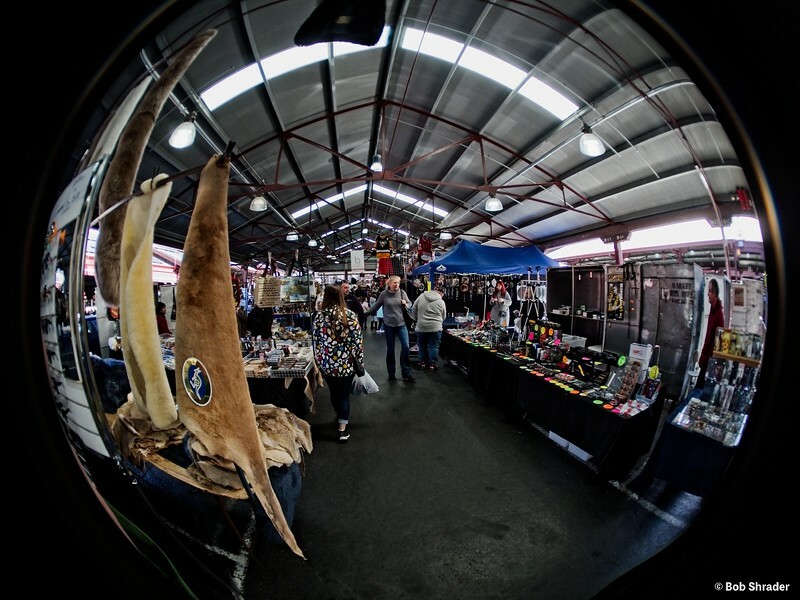 Fisheye view of interior of one of the buildings at the Queen Victoria Market in West Melbourne, Victoria, Australia. Raw development and procerssing in ON1 Photo RAW 2017. 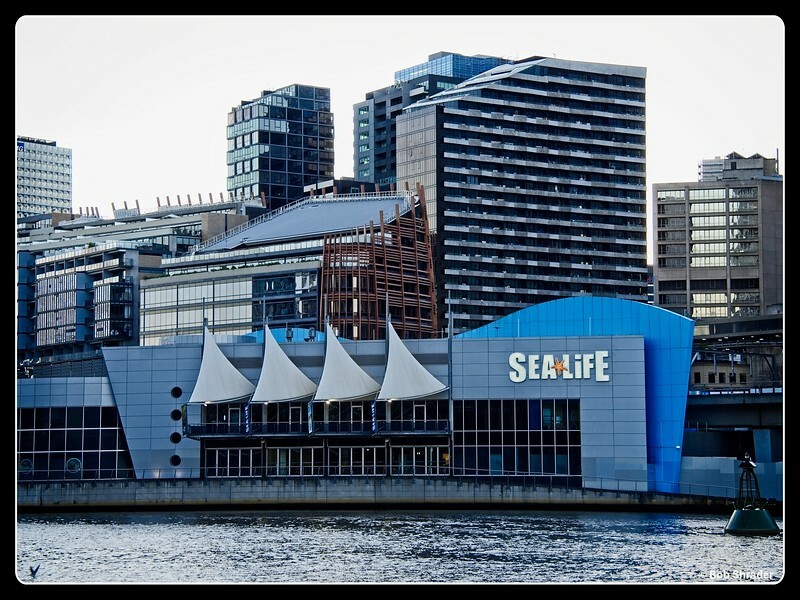 A cold, damp day outside the Sea Life Melbourne Aquarium on the Yarra River in downtown Melbourne, Victoria Australia. Raw conversion and processing in ON1 Photo RAW 2017. 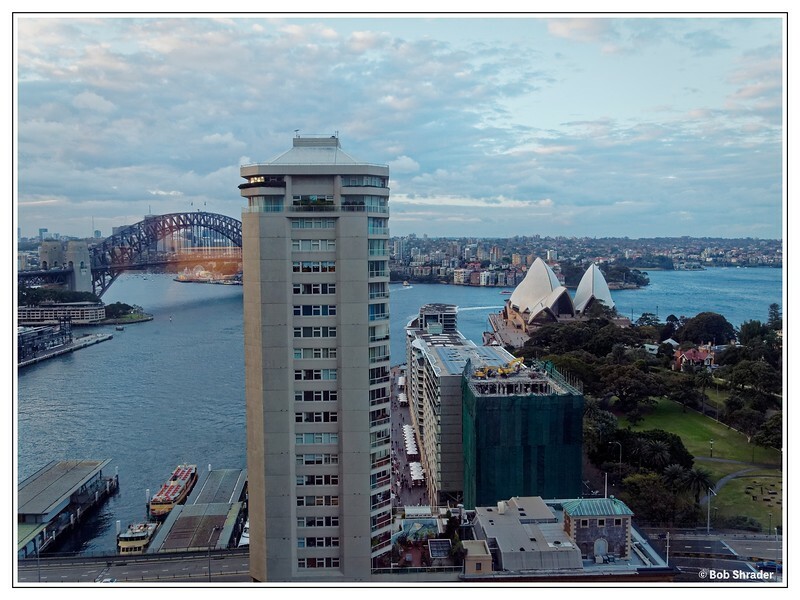 From the window of our 24th floor room in the Intercontiental Hotel, Sydney, New South Wales, Australia. Raw development in DxO Optics Pro 11 with lens correction in DxO Viewpoint 3. Post processing in ON1 Photo RAW 2017. 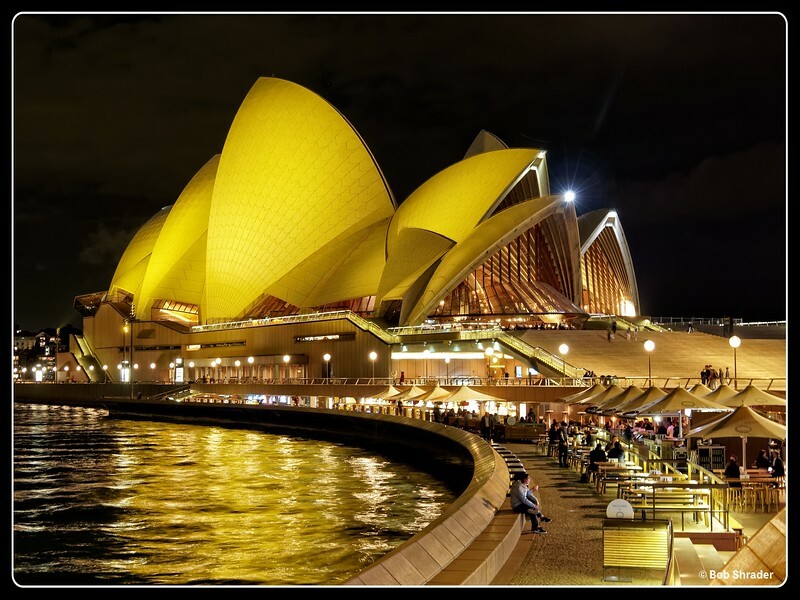 A nighttime view of the Sydney Opera House and a small part of the retail area in that part of the harbor. Raw development in DxO Optics Pro 11 with lens correction in DxO ViewPoint 3. Post processing in ON1 Photo RAW 2017. A honeybee on a Gaillardia Galya flower in the Royal Botanic Gardens a block from our hotel, the Intercontinental in Sydney, New South Wales, Australia. The signage in the gardens indidcates the flower is native to Australia. 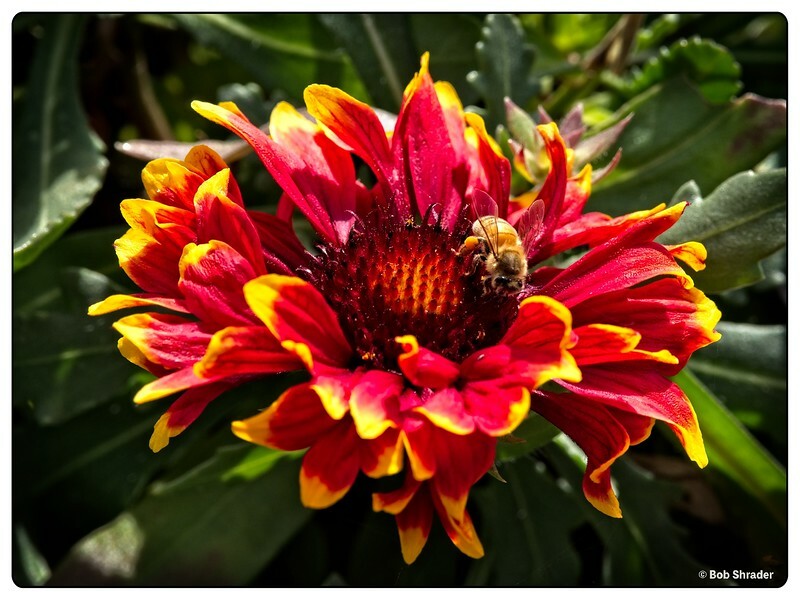 However, it is part of a larger family of "blanket" flowers, which includes the Gaillardia pulchella (AKA Indian Blanket or Firewheel) attributed by the University of Texas Lady Bird Johnson Wildflower Center to be a Texas Wildflower. Raw development and processing in ON1 Photo RAW 2017. 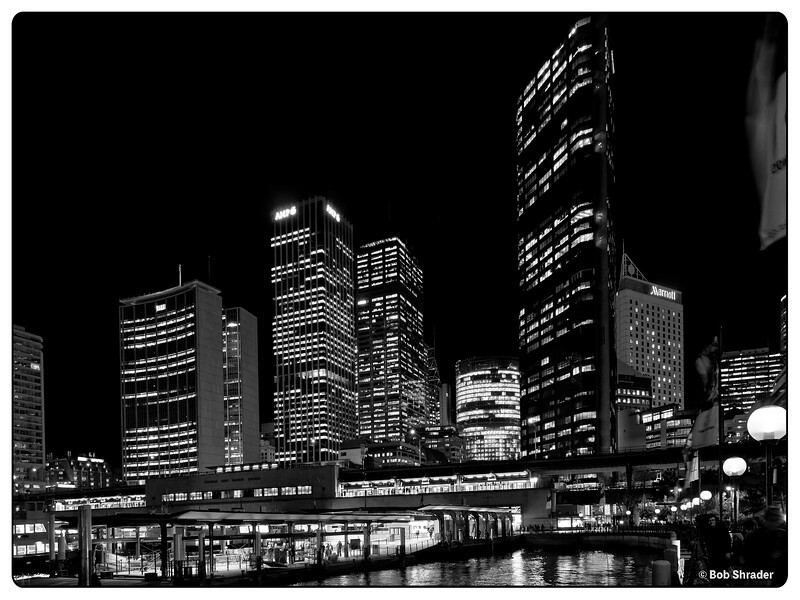 Black and white film-look rendering of the city skyline from the harbor. Sydney, New South Wales, Australia. Raw development in DxO Optics Pro 11 with lens correction in DxO ViewPoint 3. Post processing in ON1 Photo RAWW 2017 (Film - Kodak Panatomic X 32). 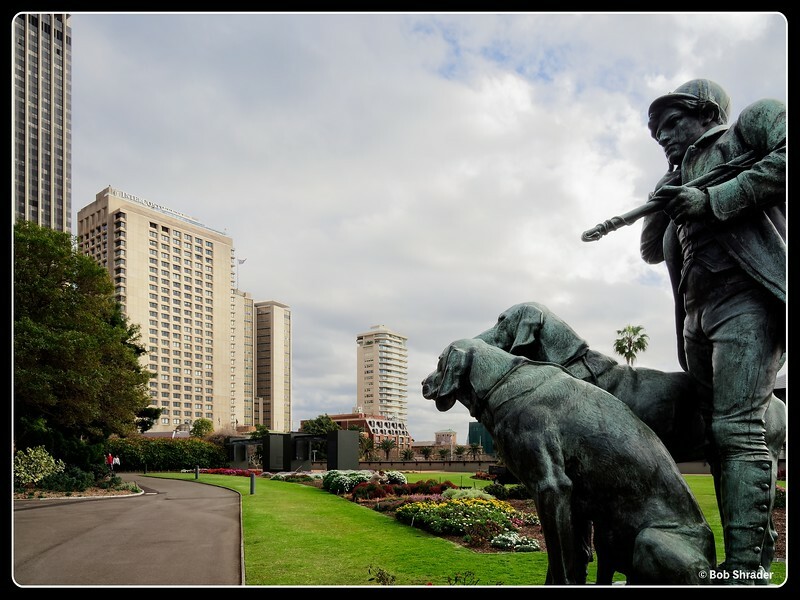 Statuary appears to be guarding this entrance to the Royal Botanic Gardens in Sydney, New South Wales, Australia. This magnificent park is located just a block from our hotel, the Itercontinental, seen in the background. Raw development in DxO Optics Pro 11 with lens correction in DxO ViewPoint 3. Post processing in ON1 Photo RAW 2017. 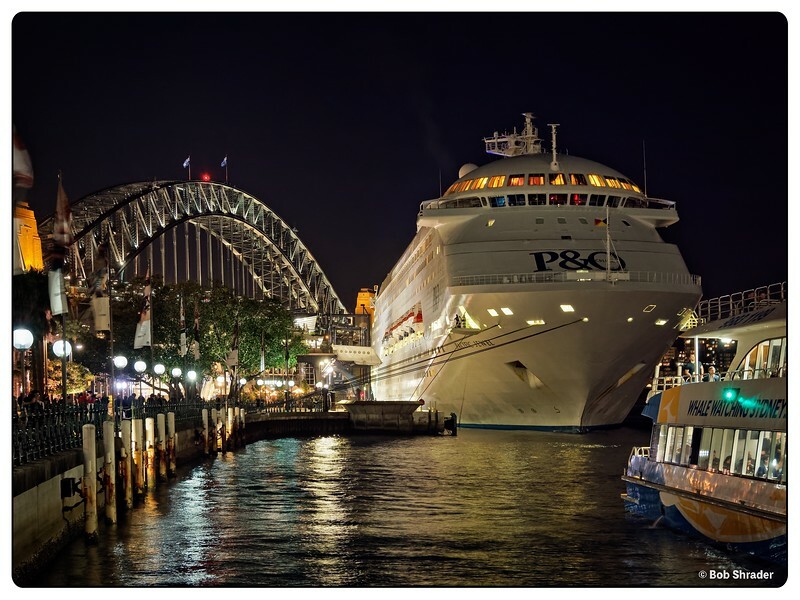 The P&O Cruises ship Pacific Jewel in the Sydney Harbor with the Sydney Harbor Bridge in the background. Raw development in DxO Optics Pro with lens correction in DxO ViewPoint 3. Post processing in ON1 Photo RAW 2017. 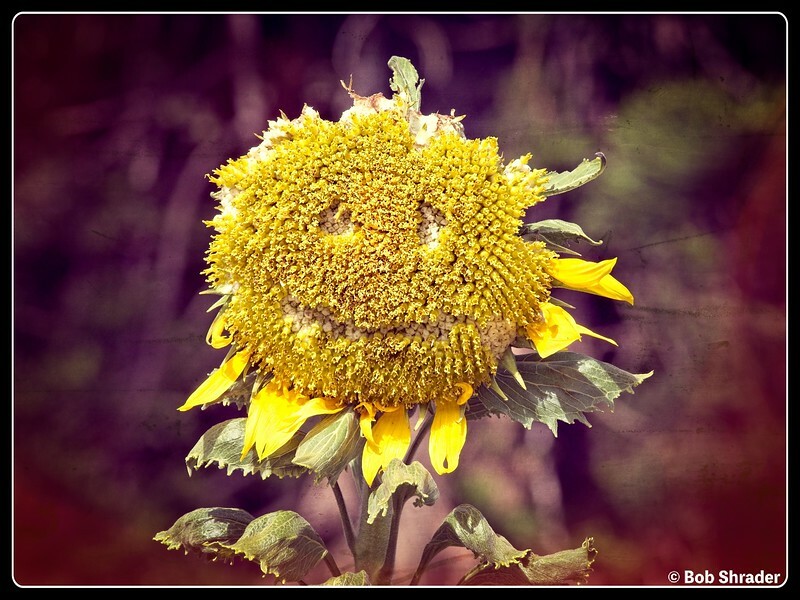 Someone with a sense of humor apparently tried to put a new face on this sunflower past its prime. Royal Botanic Gardens, Sydney, New South Wales, Australia. Raw converson and procesing in ON1 Photo RAW 2018 beta (preset: Hipster - Mayor). 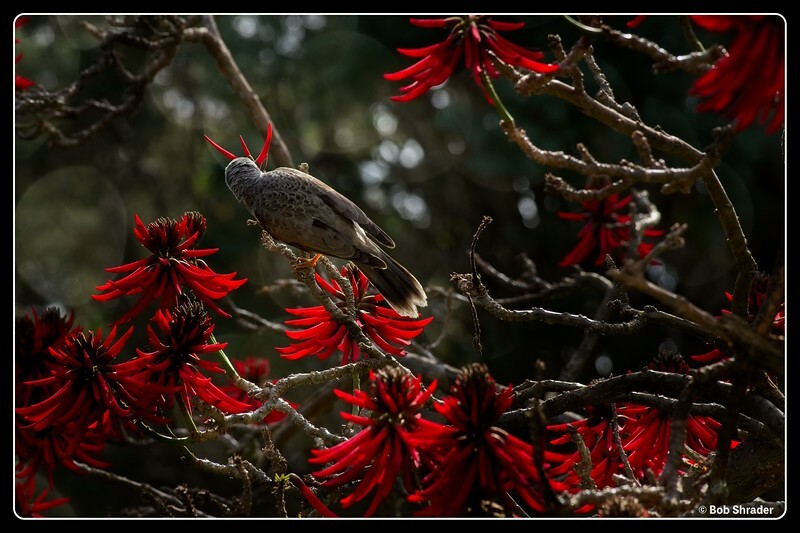 The flaming red color means food for this bird in the Royal Botanic Garden, Sydney, New South Wales, Australia. Raw development and processing in ON1 Photo RAW 2018 beta. One of three sperm whales we saw on this whale-watching trip off the coast of the South Island, New Zealand near Kiakoura. Raw development and processing in ON1 Photo RAW 2018 beta 2. 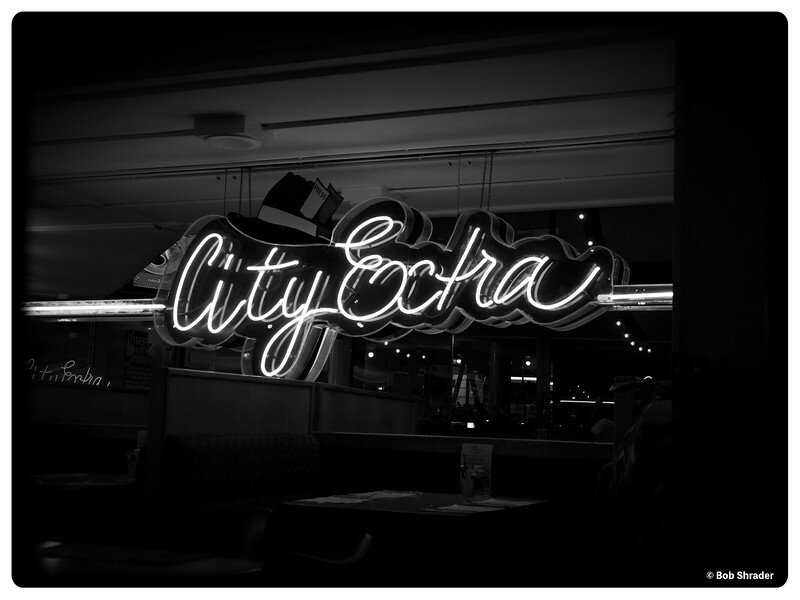 Black and white film-look rendering of City Extra Restaurant sign, Circular Quay, Sydney, Australia. Raw development and processing in ON1 Photo RAW 2018 beta 2 (Hipster: Holga Infrared). 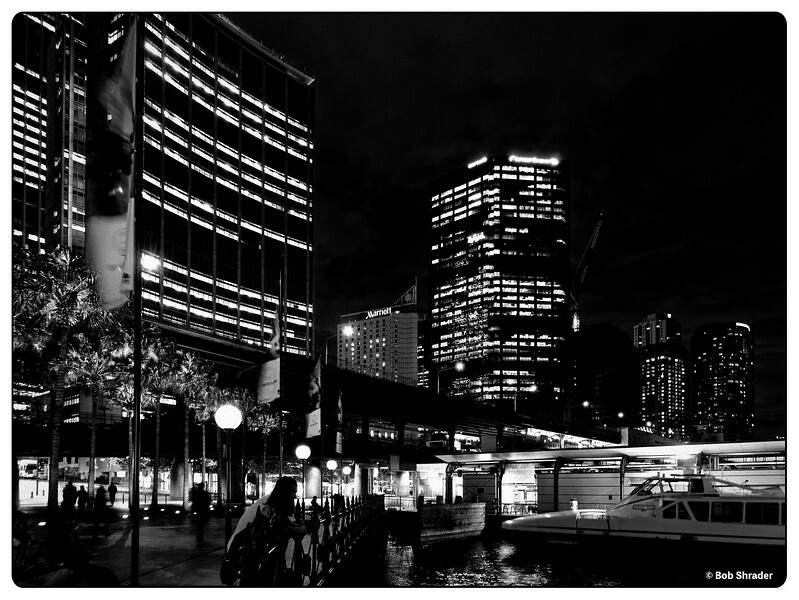 Evening in the Circular Quay area of Sydney, Australia. Raw development and processing DxO Optics Pro 11 with lens correction in DxO ViewPoint 3. Post processing in DxO FilmPack 5 (Black and White Film: Silent Movie Granular).